Is Ankara Really at War with Jihadis? Originally published under the title "Turkey's Official 'Cocktail Terror'." 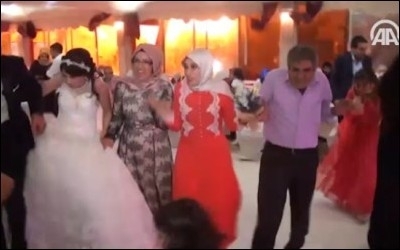 On August 21, ISIS terrorists used a child suicide bomber to kill more than 50 people, mostly children, at a wedding in Gaziantep. Failing to name Islamic terror has cost Turkey hundreds of lives and will likely cost it hundreds more, as the country's leaders -- and many others, especially in the West -- are still too demure to call Islamic terror by its name. Without a realistic diagnosis, the chances of a successful treatment are always close to nil, and Turkey's leaders stubbornly remain on the wrong side of the right diagnosis. President Recep Tayyip Erdogan's theory that "there is no Islamic terror," coupled with his persistent arguments that Islamist radicals hit Europe because of Islamophobia in the Western world, are not only too remote from reality but have now become a curse in his own country. As early as 2014, cars began to be seen in the streets of Istanbul sporting the black flag of the Islamic State of Iraq and Syria (ISIS). The same year, Islamists opened a shop selling T-shirts featuring the same flag. ISIS-related magazines went ahead with open hate content even though, in March 2014, ISIS spilled its first blood in Turkey when an ISIS team ambushed a police checkpoint and killed one police officer, one soldier and one civilian. Without a realistic diagnosis of Turkey's Islamic terror problem, the chances of successful treatment are close to nil. In its first suicide attack on June 5, 2015, ISIS targeted a pro-Kurdish rally in Diyarbakir, killed four people and injured 279. It targeted, once again, a pro-Kurdish gathering in July 2015 in Suruc, a small town bordering Syria, killed more than 30 people and injured more than 100. When, in October 2015, Islamists attacked the main train station in Ankara and killed more than 100 civilians in the worst terror attack in Turkey's history, Turkish officials were once again too demure to blame it on radical Islamists. Instead, they invented an unconvincing concept, "cocktail terror," putting the blame on a mixture of various terror groups. In a span of just one year, starting with the Suruc suicide bomb attack in July 2015, ISIS terror attacks in Turkish soil have killed 265 people and injured 1,256. In its latest attack in Turkey on August 21, ISIS did something it had not done before: it used a child suicide bomber with explosives detonated by a remote controller. The target was a wedding ceremony in the southern city of Gaziantep; most of the victims were children, like the suicide bomber himself. More than 50 victims were killed, of whom 26 were less than 18 years old. Two of the victims had just turned four. This is premeditated, officially-tolerated murder. Evidence? Between Aug. 14, 2014 and June 29, 2016, two opposition parties, the social democrat Republican People's Party (CHP) and the pro-Kurdish People's Democratic Party (HDP), appealed to parliament five times asking for a parliamentary investigation into ISIS and its activities in Turkey. All five requests were rejected by the votes of the ruling Justice and Development Party (AKP), Erdogan's powerful political machine. Why would a ruling party vote down an investigation request into a barbaric terror group that has killed hundreds of people in its own country? But there is more. In July, slightly more than a month before the ISIS's child bomber was blown up along with more than 50 others in Gaziantep, a court in the same city reduced the jail sentence of an ISIS militant due to "good conduct." Good conduct?! The man did not even stand before the court, as the police were unable to apprehend him. A security company owned by retired Brig. Gen. Adnan Tanriverdi (center) has been accused of providing "irregular warfare training" to "ISIS and its derivatives." At the end of June, the main opposition party, CHP, made a parliamentary inquiry into the activities of an Istanbul-based defense company accused of having links to ISIS. 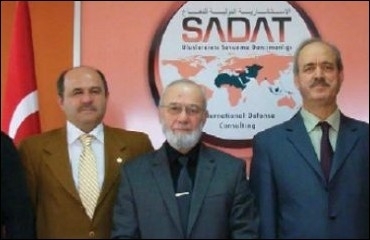 The opposition claims the SADAT International Defense Consultancy, established in the early 2000s by soldiers dismissed from the military due to Islamist activities, offers "irregular warfare training" in various fields including "intelligence, psychological warfare, sabotage, raiding, ambushing and assassination." The inquiry said: "...that special commissioned and non-commissioned officers have begun working at this company with high salaries, and that in camps irregular warfare training has been given to ISIS and its derivatives." SADAT's owner and chief official is retired Brigadier General Adnan Tanriverdi, widely known for his close relations with Erdogan and the AKP. Since the opposition made the parliamentary inquiry, it has not heard from the government benches about its request for an investigation into SADAT. But, after the inquiry, the government made a move. In August Erdogan appointed Tanriverdi as his chief presidential advisor. Turkey's war with radical jihadists is a too demure and reluctant one -- if not fake altogether.